I recommend Full View becuz the thumbnail suxx. nice, but maybe for me the bg clour, does not really go too well with scan...! so ya, nevermind though it's nice. ah cuuuute! I love Love Hina ^-^ I agree with norine though...maybe a more brownish color will fit better? the characters seem to have more brown in them rather than blue. I like the text! 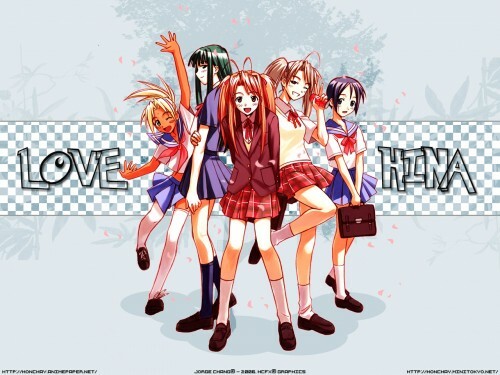 "Love Hina" or "Mahou Sensei Negima! (Magister Negi Magi)" ?